What makes the perfect wine bar? Is it the ambiance? The service? The good eats? Or simply the sublime wine? Whatever you look for in a wine bar, one of the following 10 is sure to do you just right. The Alcove has received numerous accolades as being among the very best wine bars in Dallas, and it’s obvious why. The comfortable atmosphere and diverse menu, including wine, beer, and coffee, makes this one stand out. The Grape Wine Bar and Bistro is “both classy and inviting,” according to Waco Today Magazine. The unassuming bar has wines from around the world and offers gourmet appetizers, entrees, and desserts. Open to 21-year-olds and older, the Vineyard II is known for their Texas wine and craft beers. Call ahead to ask about booking the private meeting room for meetings, private parties, and receptions. Head to downtown Montgomery, Texas, to enjoy the treat that is Cozy Grape Wine Bar and Bistro. The intimate setting adds to an already exquisite array of wine and food options. Great wine? Check. Good beer? Check. Off-the-hook food? Check, check, check. Chelsea’s is a wine winner, with over 100 hand selected wines to choose from. Hill Country Cellars Winery is open Tuesday-Saturday and offers, exclusive wines, only available on-site. They make wine in partnership with the Lost Maples Winery so they’re intimately involved with every bottle they sell. The Grove Wine Bar has three locations in Austin and a fourth in Cedar Park, Texas. Regardless of which one you visit, you’re sure to find fresh, New American food paired with wines for every taste. 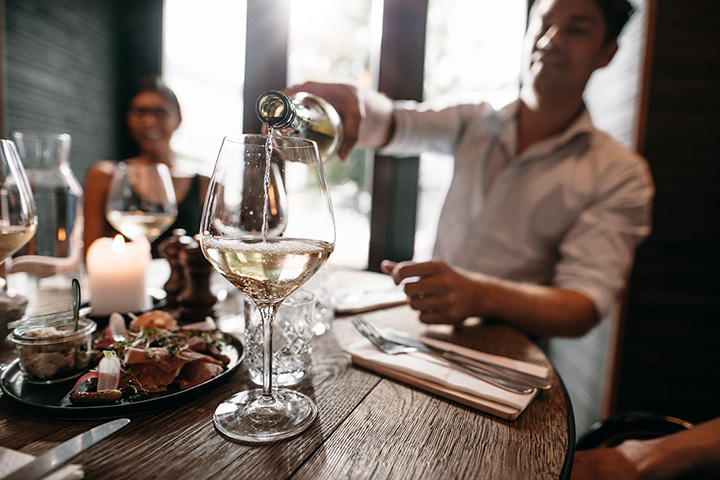 B’s Wine Bar in Missouri City, Texas, features a food menu “chosen specifically to match the ambience of our bar and our exclusive wine selection,” and “rich, unforgettable, and intimate” wines. The atmosphere is unmatched. Copa Wine Bar in San Antonio, Texas, is the recipient of multiple awards, including San Antonio “Current Best Wine Bar,” San Antonio Magazine “Best of the City,” and San Antonio Express News’s “Best Wine Bar Reader’s Choice.” Their wine list is extensive and varied enough for anyone’s palate to enjoy. MKT BAR in Houston, Texas, is upscale and definitely has an urban-chic vibe. They’ve got live music nearly every night. They serve breakfast, lunch, and dinner and have a decent array of wines, along with lots of other options.